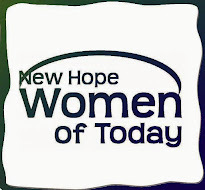 New Hope Women of Today is listed as a participating organization. This will be an "ongoing" project. Let's make some $$$ for WOT. You can donate a portion or all of the money earned to New Hope Women of Today. Remember...We are All In This Together!! Thank you!